Shift into the Learning Zone – the EASY WAY! Would you like a quicker way to learn – INSTANTLY? Want to become a learning machine, able to remember and understand EVERYTHING? Thanks to the power of subliminal messaging technology, the Total Learning audio session will transform your learning experience into a pleasurable and effortless one. In less than an hour, the Total Learning subliminal session will deliver thousands of positive, motivational, subliminal messages directly to your subconscious - helping you learn easier and more quickly than EVER BEFORE! 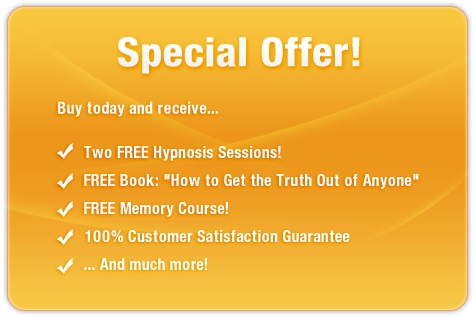 Using the latest in subliminal messaging techniques, the Total Learning session will allow you to open your mind and soak up information faster and more efficiently than you ever thought possible! And it’s 100% risk-free! If you’re not completely satisfied with your enhanced learning potential, let us know within 90 days and we’ll refund your order in full. Don’t let knowledge pass you by! Purchase Total Learning TODAY and improve your learning capacity right away!